What Can We Learn From Arctic Monkeys' New Album Details? We examine the title, artwork, tracklist and teaser for the band's fourthcoming Tranquility Base Hotel & Casino album. Arctic Monkeys have just announced the eagerly awaited details of their sixth album, which is set for release on 11 May 2018. 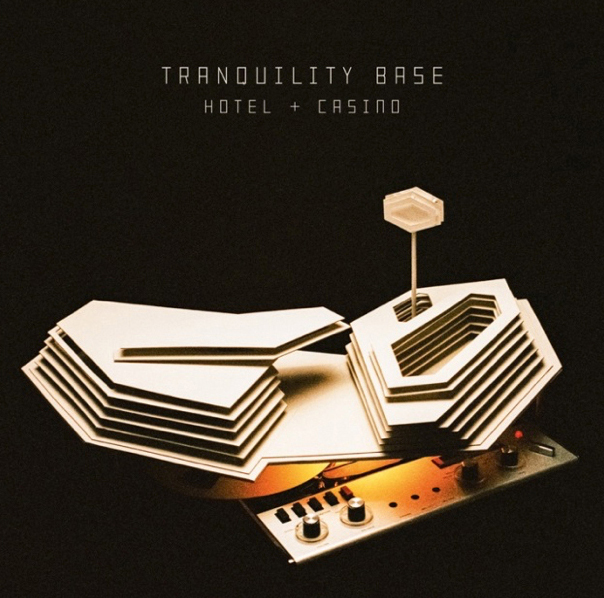 After five years of waiting (im)patiently, we've been graced with their Tranquility Base Hotel & Casino title, its artwork, tracklistlist, a shiny new press image and a video teaser. BUT WHAT THE F*** DOES IT ALL MEAN?! Follow us as we delve deep into the rabbit hole and try to decipher what it tells us about sound and scope of their sixth LP. Let's face it: Tranquility Base Hotel & Casino (or TBHC as we're going to start calling it) sounds pretty crackers. OK, so the Hotel and Casino bit isn't that strange but a quick search of "Tranquility Base" brings up references to space travel and moon landings. Resplendent in black and gold with that font and those hexagons we were introduced to last year, the album artwork looks both retro and futuristic at the same time. And if the strange cardboard model doesn't provide us with any more clues, then the Revox A77 reel-to-reel tape recorder which it sits on of top just might. Is anyone thinking what we're thinking? A late 60s and 70s-inspired album? From the cosmic, to the colourful to the downright comical, the TBHC tracklist is transcendent in some ways and absolutely terribrill in others. While Star Treatment could see Alex Turner write an observational track on the fleeting nature of fame, Ultra Cheese could very well be an ode to a super strain of marijuana. And then there's The World’s First Ever Monster Truck Front Flip... which surely can't actually be about a monster truck? Unless they'd just watched it on YouTube and just wanted us to search it. In fact, what if all of Arctic Monkeys' new album was inspired by stuff they found on the internet after a night out? It feels like ages since we've had a glossy new pic from the Sheffield rockers, so when we finally got one it almost seemed too good to be true. The simple black and white press shot sees the Do I Wanna Know? rockers dressed smartly and posing as if for a family portrait. But can we glean anything from it? 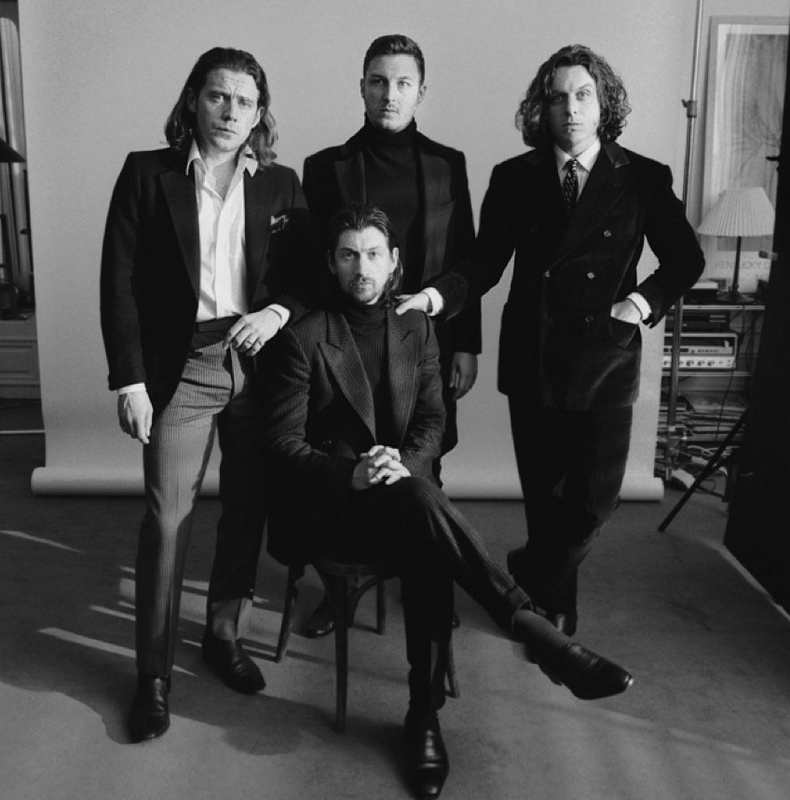 A bearded Alex Turner takes centre position sitting down in the shot, as James Cook and Nick O'Malley place a re-assuring hand on his shoulders. Could this signify the frontman being even more relaxed and self-assured than ever before?